Today, kids are always seen with an electronic gadget on hand. The generation today is very different from what we were before. Kids during my time were easy to please. We didn't have gadgets to play with. All we had was each other and a couple of improvised toys to keep us busy. My kids are not very much different from today's kids. 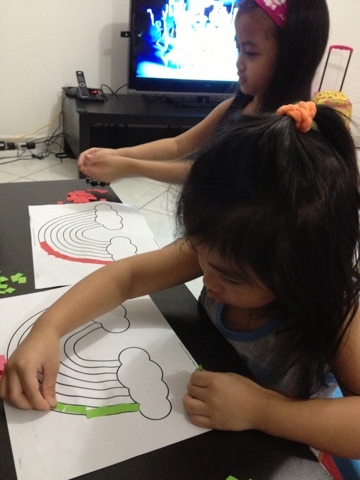 They keep their day busy usually with their tablets or watching TV the whole day and sometimes play pretend. I told myself that they should be learning more aside from playing these electronic games and that they should develop and enhance their creativity. Then I thought, crafting might be a good idea. 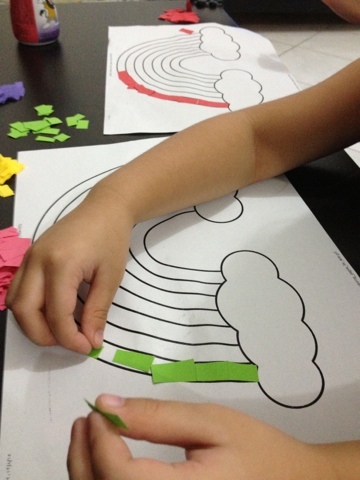 Crafting not only develops kids' creativity, it also helps improve their fine motor and analytical skills, too. Aside from that, the materials that we will be using for crafts are cheap and are sometimes just the things that we are about to throw away from our household. This time, we decided to do a rainbow. Rainbow template (you can find many from Google images). Colored paper cut into small pieces. 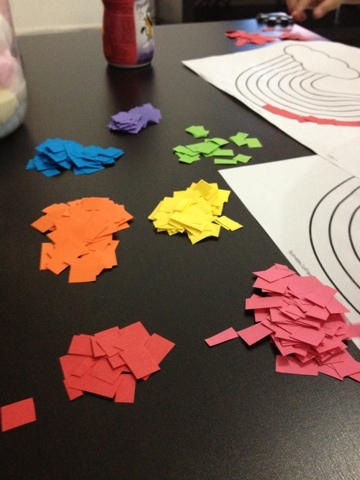 Just glue the same color of paper per ray of rainbow and let the kids do it whichever way they want. 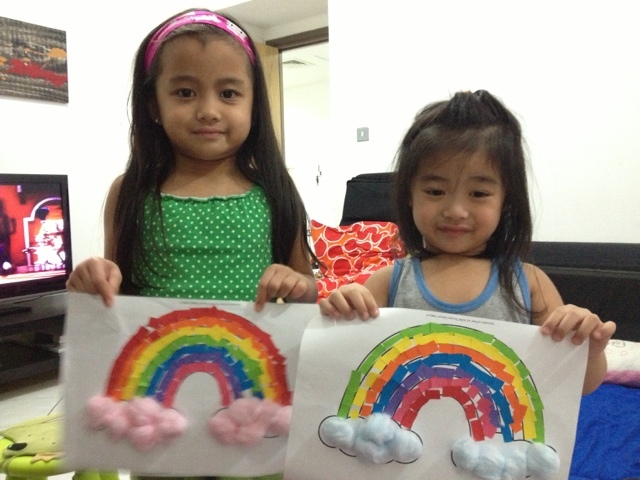 See how "glued" my kids were while making their own rainbows. Once done, glue the cotton balls at the end of the rainbow; these will serve as cloud and your project is done. The kids enjoyed it and the best thing is it's cheap and very easy to make.